The Republic of Panama is an isthmus, an elongated and narrow strip of land that connects two continents: South America with Central America. It is considered a transit country, since since 1914 the Panama Canal operates, a navigation route between the Caribbean Sea and the Pacific Ocean. This condition has led him to be a meeting point between several cultures, and a strategic place for trade and exchange.  #CILAC18 will be held at Wyndham Panama Albrook Mall, in Panama City. Other parallel events will also take place at the City of Knowledge, a space located 8 kilometers from the hotel. In addition to these two locations, activities linked to CILAC will be deployed throughout the city. On your right, you can find a map in which hotels are marked in black, with contact información when clicked. Red spots show CILAC’s venue and the side events’ venue, at Ciudad del Saber. Green spots show Metro 1 stops while the orange spot marks the airport‘s location. Climate: tropical, humid and maritime. There are only two seasons: the dry season, known as “summer” (January – March); and the rainy, known as “winter” (April – December). Migratory requirements: Passport a day at least three months before its expiration and, in the case of some countries, a tourist visa, which can be obtained at the Panamanian consulates of each country. Mandatory vaccines: The only vaccine required to travel to Panama is yellow fever, this obligation falls only on people who come from countries where this disease is considered endemic. It must be applied at least 10 days before the trip. Education: In Panama, education is recognized as an essential duty of the State, and is free and compulsory. The literacy rate increased to 94.09%. The implemented teaching method is imitated today by many countries. Government: Panama is a democratic Republic, with a presidential and representative regime. In addition to the head of state, the Republic is divided in three powers: Executive, Legislative and Judicial. The elections are held every five years. Religion: The Panamanian Constitution establishes freedom of worship, giving rise to various religions. There is, however, a predominance of the Catholic religion, which reaches 85%, followed by the evangelical Christian, with 7% and Bahaismo with 2%.